AusThai Solutions has been in business for 13 years, operating well on traditional funding models and conventional marketing approaches. So the question might be asked: why are we now venturing into crowdfunding? It is a very good question and the answer involves a number of reasons. 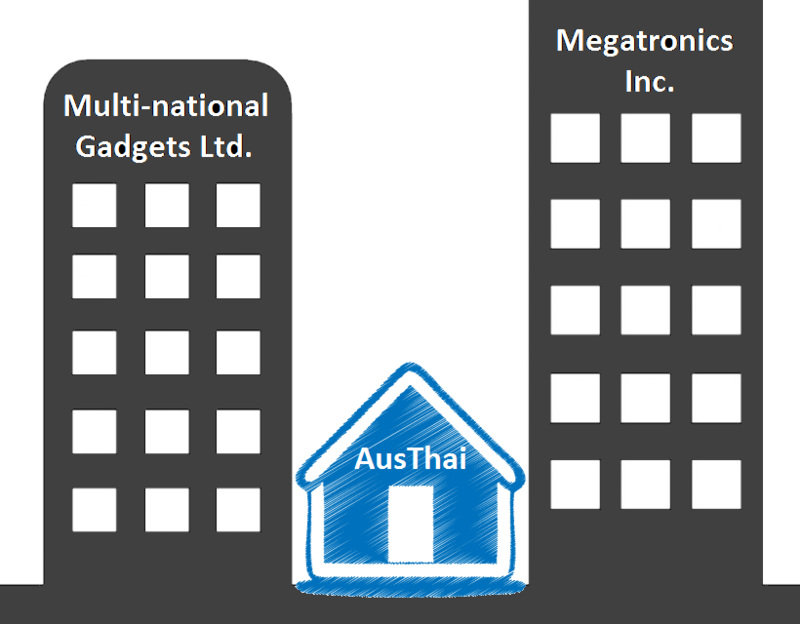 AusThai was founded to fill a need for small run-size electronic design and production. The electronics industry is full of big companies. Very big companies. Imagine that you have a need that would be filled nicely by some cleverly designed electronics. You take this idea to a conventional electronics company. The first thing they will tell you is that they need a run-size in the tens of thousands to make it worth their while. We are different. We specialise in small runs. We have years of experience in minimising cost when the run-size is small. What do we mean by small? Our typical run-size is between 50 and 2,000. Our smallest run-size was one. (We actually made two so we had a working copy in-house after we had delivered. It came in handy later, when the customer wanted some mods to the firmware.) We have been involved in run-sizes in the tens of thousands. For these we did the design and we found a third party to produce the product. The electronics industry works on the principle of economies of scale more than any other industry. If you want to build a mobile terminal from the ground up for some special purpose you would expect to pay hundreds of dollars. Yet you can buy a basic mobile phone for ten dollars. The basic mobile phone is cheap because it is made in quantity. When the client has picked themselves up they tell us that they had based their initial estimates on typical prices of mass produced electronics. Then they have to admit they don’t have the funds to proceed. We have a filing cabinet full of great ideas that could not proceed because the client could not fund them. So this is the first reason for using crowd-funding. We take a good idea, we present it to a large number of people through the crowd-funding process and we give everyone an opportunity to help make the idea happen. This has two effects. The cost of making it happen is shared among a large group of people rather than one or two. The number of people that hear about the product is higher, which means the production run is larger resulting in better economy of scale, which results in a lower unit price. This is a win-win scenario. The price doesn’t knock people off their chair and another great product idea becomes a reality. Most good electronics project ideas currently in the market have come about through collaboration and open interaction between interested stakeholders. The revolutions around the Arduino and the Raspberry Pi are good examples. They are fueled by an open source approach and free sharing of ideas and projects. AusThai has a lot to offer in this area. There are makers and enthusiasts with great ideas but limited expertise or resources available to make those ideas reality. 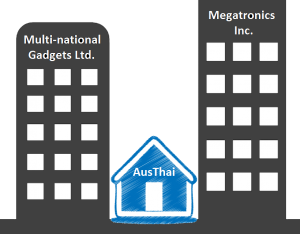 AusThai has both expertise and resources. We do have ideas of our own, as a visit to the AusThai Shop will show. We could go on making kits and projects that we like. Some will be popular, others less so. We much prefer to work with people in the maker community before we start a project. It is much more rewarding to help make something when others have an interest in it. There are a number of ways we could do this. We could rely on our suggestion page or we could run surveys on Facebook or Twitter. We see crowd-funding as a useful method for gauging community interest in a project. Using the feedback from our suggestion page as a starting point we can run small project based crowd-funding campaigns to bring the ideas to market. This seems like a promising way to go. So get involved, talk to us and let us help take your idea to market. 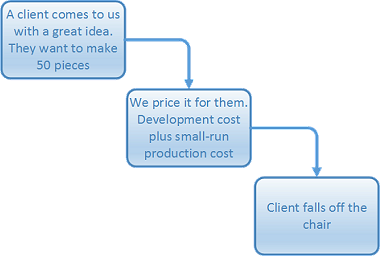 The traditional product cycle begins with an idea. The idea is developed into a specification and then funding is sought. For small companies like AusThai the funding would normally come from a bank. (We do have clients who come to us with the idea and the funding. In this case we are contracting our services.) The bank is happy to fund large projects that have a convincing chance of returning on the investment within a reasonable time frame. 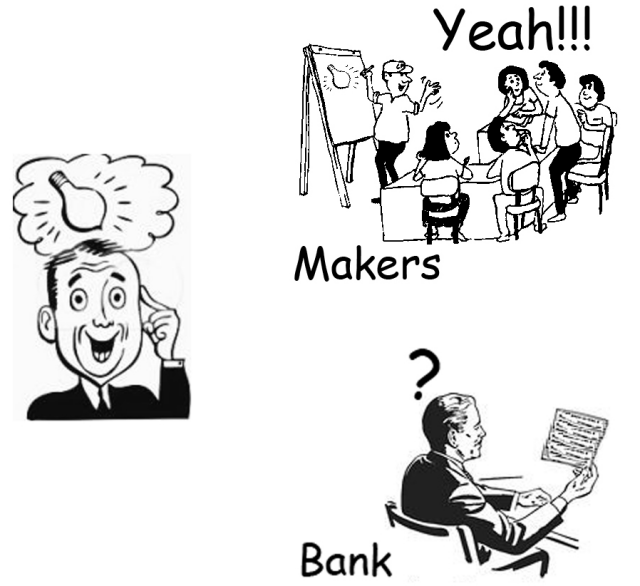 For projects developed at AusThai we need to ‘translate’ the concept into a form the banker will understand. In the case of small projects the effort required to convince the bank of returns is more than the effort needed for the actual design. With crowdfunding most of the backers are like minded electronics enthusiasts and makers, people who know where we’re coming from. We can quickly put together a campaign that is clear to our potential backers. This reduces the time to market, something that is very important in the electronics business. So these are three reasons why we have chosen to use crowdfunding. There are other reasons but these three are the most important ones. Do you think we are on the right track? We would love to hear what you think. Leave a comment and let us know.